Healthy Aging Medical Centers in New Jersey offer concierge medicine and advanced therapies to help women and men recover from the effects of debilitating illnesses. One of the therapies used to improve health is IV Nutrient Therapy, which is a safe and non-invasive therapy that can improve numerous health conditions. Healthy Aging Medical Centers in New Jersey offers IV Nutrient Therapy to help patients overcome health issues, boost immune function, and correct existing vitamin and nutrient imbalances. IV Nutrient Therapy is a unique way to help patients get high amounts of nutrients because it places nutrition directly in the bloodstream. Placing nutrients into the bloodstream is different from taking them orally because of what is known as the “first pass effect”. When a person ingests medication, it must first pass through the digestive system and the liver, where it is metabolized and its potency is reduced. IV Nutrient Therapy allows the pure form of the nutrient to be delivered into the bloodstream in an amount that is necessary for supplementing a deficiency. Because balanced nutrients are a key component to maintaining health, IV Nutrient therapy can help to improve several different health concerns. IV Therapy injections often consist of nutrients that include amino acids, minerals, vitamins, botanical extracts, and alpha lipoic acid. 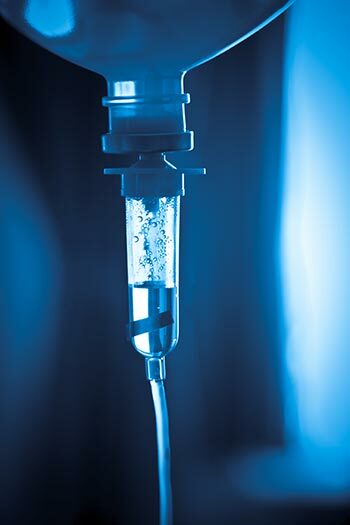 Different prescriptions are available for different ailments, and the most common IV treatments include high dose vitamin C, Meyer’s Cocktail, IV Glutathione, and IV MSM. These nutrients in combination with one another or other essential nutrients have helped many people to strengthen their bodies and overcome the effects of disease. IV Nutrient Therapy is a key therapy in helping people regain optimal levels of health and wellness, and for this reason, the clinicians at Healthy Aging Medical Center offer it as a part of their comprehensive wellness programs. High Dose Vitamin C is most commonly for people that are suffering from slow wound healing, poor immune function, depression, allergies, and fatigue. Vitamin C helps to boost immune function, and it has an anti-histamine effect to calm allergies. It can also increase neurotransmitters that reduce depression or anxiety. Nicotinamide Adenine Dinucleotide (NAD), a form of Vitamin B3, is a metabolic co-enzyme found in all living cells and has more than 100 functions in the human metabolism. NAD IV therapy helps to replenish these drained enzymes and target brain restoration. Replenishing NAD stores helps reduce oxidative stress, which plays a major role in creating inflammation and disease. It can help with depression, acute and chronic pain, fibromyalgia, obsessive-compulsive disorder (OCD), post-traumatic stress disorder (PTSD), anxiety and neurocognitive disorders. Meyers Cocktail is one of the most broad spectrum and commonly used IV Nutrient Therapy protocols, and it consists of multiple different nutrients, which include Vitamins B12, B5, B6, and Vitamin C, Calcium, and Magnesium. While this form of IV therapy can be used to treat numerous ailments, some of the more common ailments it treats include fatigue, headaches, migraines, allergies, hypertension, fibromyalgia, hepatitis B & C, and depression. Glutathione is an important protein that is comprised of three different amino acids, which binds to dangerous free radicals and toxins. Some of the conditions that this nutrient can improve include Alzheimer’s disease, Parkinson’s, multiple sclerosis, asthma, liver diseases, strokes, depression, and fatigue syndromes. MSM is another nutrient that is commonly used in IV Nutrient Therapy for people that are suffering from chronic pain and inflammation. MSM has an antioxidant effect and an anti-inflammatory effect, and it can help people that are suffering from rheumatoid arthritis, lupus, scleroderma, osteoarthritis, fibromyalgia, autoimmune disorders, and neuropathy. The clinicians at Healthy Aging Medical Centers in New Jersey will fully analyze blood work, discuss dietary and exercise habits, and assess different bodily systems in order to determine the correct treatment plan. Testing for genetic markers that raise the risks for cancer, heart disease, and obesity may also be assessed as a part of the patients’ wellness plan. Other services such as IV vitamin treatments, testing for vitamin and mineral deficiencies, or food allergies may also be used to help relieve the effects of chronic diseases and improve overall levels of health and wellness. 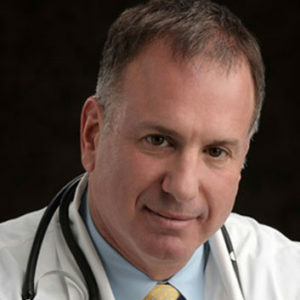 Countless women and men in West Orange New Jersey and the surrounding areas of Bergen County, Passaic County, Essex County, Hudson County, Union County, Middlesex County, and Somerset County New Jersey have already taken advantage of the clinic’s comprehensive health programs, and they have been able to live happier and healthier lives. The clinic’s comprehensive programs can allow patients to receive guidance as to which steps to take towards greater health and wellness. The initial consultation will involve a review of the patient’s entire medical history, discussing health goals, and deciding which labs are necessary to use for the selection of a treatment protocol. After the initial consultation, patients will know exactly how to optimize their hormones, balance their diets, and reduce vitamin or mineral deficiencies. The clinic’s comprehensive programs and therapies can help women and men improve their health, quality of life, and overall vitality. Healthy Aging Medical Centers serves patients in Bergen County New Jersey and the surrounding areas of Passaic County, Essex County, Hudson County, Union County, Middlesex County, and Somerset County New Jersey. Contact an IV Nutrient Therapy specialist at Healthy Aging Medical Centers in New Jersey today at 973.435.0433 for a consultation with Dr. Rand and to learn more about how IV Nutrient Therapy can improve your health condition or chronic illness.